Aircon: Why Is My Aircon Light Blinking? In Singapore, a properly working aircon is the most important appliance for every individual. If you don’t have a properly working aircon, then you can have a really bad atmosphere in your house, office or other places. Also, this increased humidity and heat can make you ill as well. 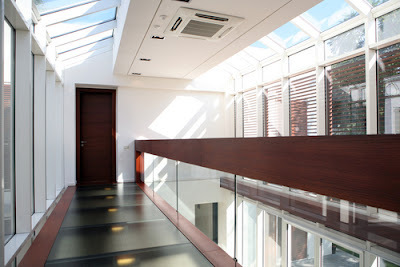 In case, you see any kind of blinking in your aircon light, then it is a clear sign of some problem in your aircon. There could be a number of reasons for this aircon light blinking and you can solve this problem only when you are aware of the root cause of the problem. In case, you also have a question why is my Aircon light blinking and you are not sure about the reasons, then I am sharing some of the reasons and solutions to deal with this problem. Check the circuit breaker: If you notice that your Aircon light is blinking and you are not getting cool air with it, then you should check your circuit breaker for same. Ideally, you only need to turn it off and then you need to turn it on to check if the problem is resolved or not. In most of the cases, this simple step could solve the problem or Aircon light blinking issues. This will not only save your time, but it will save your money as well that you can save by not calling an Aircon expert or technician. If you don’t have any kind of loos connection or similar issues, then this should solve the problem for you. Check the wiring connection: Sometime you can have the problem of Aircon light blinking because of loose wiring connection. Many times a loose wiring could be the most basic cause of this issue and you can tighten the wiring using your hand or some basic tools. But when you join the wires back, then make sure you have proper understanding for same. If you have any doubt or you are not sure how to join it back properly then it is a wise idea that you hire a technician instead of doing the work by yourself. But if we talk about the cause or issues of Aircon light blinking then this could be one of the reasons. This wiring connection issue might seem silly for many people, but many times this is responsible for this issue. Check coolant level: A drop of coolant in your Aircon can also cause of blinking issues. Your Aircon light may blink non-stop if it has a low amount of coolant in it. This low coolant will not only cause the blinking issue, but it can reduce the performance as well. 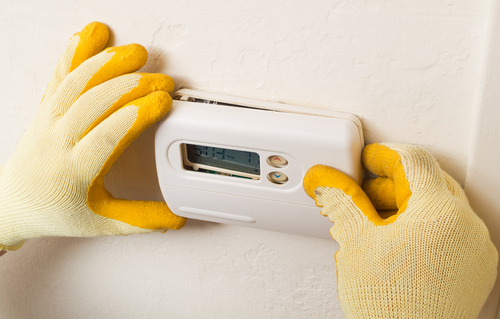 In most of the cases, you may not get any cooling at all due to lack of refrigerant. In order to solve this issue, you should hire some expert or technician for solving the problem. When you would have enough coolant in it, then it will certainly stop the Aircon light blinking issue and it will also give better cooking in your house. Here, you need to understand that if you have issues in the coolant, then you can identify the problem, but you will need to hire an expert for the solution or gas filling because this work needs precision and special tools. Check your remote: You Aircon remote can also help you get a lot of details for the solution of Aircon light blinking issue. When you would check your remote then you can find a test button on it. If you would press the test button, then it can check the issues and it can give related error code for this issue. Once you get the error code, then you can search it online or you can check the user manual for the solution of this problem. Ideally, you should be able to get the solution for this with manual or online options. But if you don’t get the solution for the error code and Aircon light blinking problem, then you can make a call to the company. When you would call the company or their call center, then they can explain the solution to this problem to you. Check your settings: Sometimes you get the problem of Aircon light blinking because of improper setting. If you would set the temperature on very high or low setting then you can have this light blinking issues. Other than this, you can also have the problem because of improper setting such as fan mode. Reasons could be anything and it may vary from Aircon brands and your house. So, it is a wise idea that you check these setting and you solve the issues. If you have setting issues, then mostly circuit breaker will solve the issues for you and you would be able to have a great outcome with great ease. In case, above solutions are not helping you and you are not able to get rid of the light blinking problem, then something could be serious inside your Aircon. This serious problem could be anything ranging from the deposition of dust in the Aircon or some malfunctioning in the system. This kind of problems needs experts’ advice for the solution of this issue. If you would try to solve the problem buy yourself, then you might not get any good outcome with it and you may damage your Aircon as well. 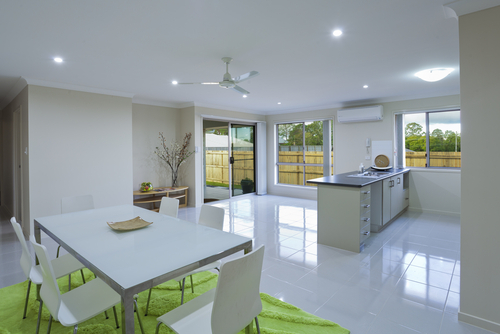 So, if you get blinking Aircon light and you are not able to get rid of it with any general methods, then hiring an expert is the only solution I would recommend. This will certainly help you have a good outcome and you will get a solution that is safe for you and gives better result to you. Also, it will be cost effective for you because if you will try to solve the problem by yourself, then you might make some damages in your Aircon and you can end up having more expenses instead of saving money. That is why you should take your decision for the solution of these problems in a wise manner.